U.S. Senator Al Franken (D-MN) fears AT&T's planned buyout of DirecTV will result in less competition and higher rates for customers. 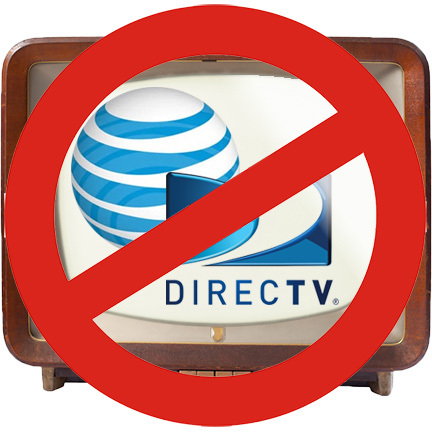 The proposed US$49 billion deal would give AT&T control over DirecTV and its subscribers, and Sen. Franken said the purchase will be a move in the wrong direction. This usually leads to higher fees for consumers and less choices usually. We need to keep as much competition in the space -- this is going exactly the wrong direction. AT&T, however, painted a different picture. The communications giant said the deal would bring broadband Internet to 15 million new customers, and will help improve the entertainment delivery market. CEO Randal Stephenson said, "This is a unique opportunity that will redefine the video entertainment industry." Sen. Franken said he is skeptical that the deal will work in favor of consumers and is calling for hearings to determine whether or not AT&T and DirecTV should be allowed to move forward. He pointed out that similar deals, like the Comcast/Time Warner merger, reduced competition and higher subscription prices. "The fewer players there are in the space, the worse it is for consumers," he said. "[These deals] usually lead to higher fees for consumers." This isn't the first time Sen. Franken has spoken out against big mergers. He protested Comcast's deal with Time Warner, and AT&T's attempted purchase of T-Mobile, too. The Senator is also a strong supporter of Net Neutrality, which he thinks will suffer from this deal. Assuming the deal is allowed to go through, he sees consumers as the big losers. "The fewer players there are in the space I believe the worse it is for consumers," he said. He added that the U.S. Department of Justice and the FCC should both take an active role in determining whether or not the deal is appropriate. "There is a proper roll for the Department of Justice to look at this as an antitrust matter and for the FCC to look at this as is it in the public interest," he said. "I say no, it isn't in the public interest, and yes, this is a violation of antitrust."